Previously dangerous mile of road north of Jericho receives new lights to improve safety of driving at night. 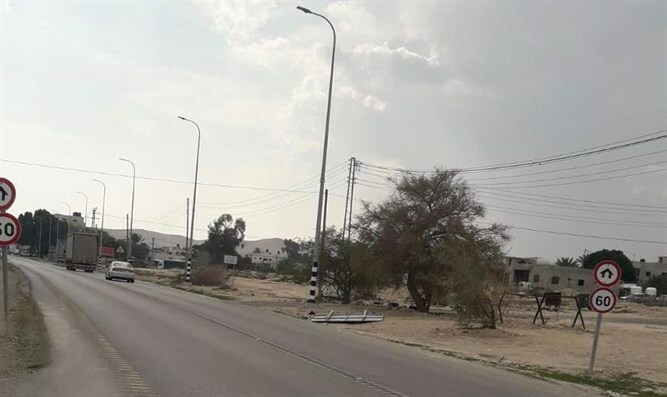 Construction of 30 lighting posts on Road 90 in the area of ​​the village of Al Auja, north of Jericho, has been completed. The new lights cover an area of road nearly a mile long. For several months, the Civil Administration, in cooperation with Netivei Israel and with the assistance of the Israel Electric Corporation, promoted the construction of the lighting poles, which will improve the safety of all passengers on the road. In addition, the Civil Administration financed the project in the amount of NIS 1.2 million. The head of the Coordination and Liaison Administration in the Jericho area, Lt. Col. Eran Gross, said, "This section of Route 90 was a safety hazard for the passengers, and from today it will be safe to move in. We will continue to act in conjunction with all authorities for the removal of all safety hazards."